Conversion is a personal, inner experience. Because of its subjective nature, it is difficult to analyze in concrete terms. Indeed, while every individual conversion is different, the objective aspects of conversion (considered in the previous chapter) remain the same: “Jesus Christ is the same yesterday and today and forever” (Heb. 13:8). Few points of theology are free from debate, but the considerable discussion over the subjective aspects of conversion speaks much to the inherent mystery in it. Webster’s Dictionary defines “mystery” as “a religious truth that one can know only by revelation and cannot [be] fully understood.” by the mystery of conversion I mean that which resolves the space between God and man as illustrated in Michelangelo’s painting, The Creation (referred to at the end of chapter two). The painting shows God and man with a gap between their extended fingers. Conversion is the mysterious bridging of that gap. This mystery is often uncomfortable for us to consider, since it means acknowledging that the way conversion actually happens is beyond our understanding and control For example, whatever the preacher of the gospel might do, he cannot give spiritual birth to someone or describe exactly how such a birth takes place. The best he can do after proclaiming the gospel message is to say, “Believe in the Lord Jesus, and you will be saved” (Acts 16:31). What goes on in the hearts and minds of people when the Spirit of God is at work is a mystery about which we can often only speculate. For me, as I have already described, I had a sense of being guilty before God. I sensed and felt inwardly that I was a sinner, separated from God. I also felt judged by the preacher and other Christians. I wanted to avoid them—but at the same time I was drawn to church to hear what I could. It was unusual behavior on my part and something I probably could not have explained. Even while I was feeling lost and judged, I was also attracted to Jesus. Of course, I had heard about Jesus for a long time, and my friends and I would occasionally discuss religion, but his was entirely different. Without fully realizing what was happening to me, I had a strong inner sense that Jesus was the Savior. I was simultaneously attracted and repelled. There was no one to discuss this with, even if I had had the vocabulary to express what was inside of me. For months and months, an inner battle went on inside my mind—until, in one moment, it was over and I suspected that Jesus had saved me. What that looked like I cannot even explain now; I only sensed then that the inner warfare was finally over. Charles Davenport lived across the street from me at the time, and he also attended the Baptist church in Fairfield. We argued all the time, mostly before my conversion but afterwards as well. I was very defensive as I tried to trap him with the clever questions I thought of in order to prove that his Christianity was nonsense. What shocks me now is that I even started to care about Christianity, because I never had before. What got me going? With hindsight I can only say that it was the Father drawing me to the Son. During this time I was often defensive, protective, and angry, and I have seen many others exhibit the same behavior. Sadly, this is not always understood for what it is—a genuine seeking after God—and the result is that the seeker is not appreciated but rejected by the very ones who know the gospel. I have had many intense arguments or debates with people shortly before they were actually converted. Something was going on inside them that almost defies description, perhaps “spiritual warfare” comes closest. It seems as though the devil, the enemy of God, and the whole of creation is actively involved in keeping people from Christ. Paul referred to it this way: “The god of this age has blinded the minds of unbelievers, so that they cannot see the light of the gospel of the glory of Christ, who is the image of God” (2 Cor. 4:4). The ultimate warfare is spiritual; heaven and hell hang in the balance, not simply physical life and death. Men and women are powerless and bound to lose a spiritual war except that Jesus has defeated the ancient enemy through his death and resurrection. 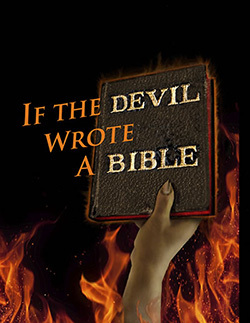 This is what John meant when he wrote: “The reason the Son of God appeared was to destroy the devil’s work” (1 John 3:8). My conversion experience is not like anyone else’s. Each conversion is unique, yet there are definite similarities and common threads running through conversion stories—conviction of sin and a growing attraction to Jesus. Some people become worried because they did not have a dramatic conversion experience; mine certainly was not. Some cannot say when they were converted, while others know the very second the event occurred. Some wept, some laughed, some fell asleep exhausted as one might at the end of a long wrestling match. Some had simply a clear knowledge that they had been born again. Some describe their conversion as a huge weight being lifted from their shoulders. Many simply discover that something had to have happened, because their wants and desires shifted—now the Bible, prayer, church, and anything to do with Jesus interested them. Such was true of my conversion. The last place anyone would expect Mr. “Cool” Philpott to be was a church singing hymns with the completely “un-cool_ types who went to church. It was quite a discovery I made about what was happening to me, but I did not care. I only knew I was where I wanted to be. Even when I encountered opposition from my family and friends, thought it would hurt, it was never enough to dissuade me from being a follower of Jesus. Having been a pastor for a long time I can definitely testify that there are no “cookie-cutter” conversions. Some people seem to have all kinds of troubles descend on a considerable period of time only to be challenged later on, sometimes shaken deeply. Some will wander or slide away from the faith for a time but come back, often with greater strength. Notorious sinners will be delivered from their sinful acts for a period and think they will never be tempted by those things again. But they will probably face that battle in the future. And so a Christian’s experience, their coming to faith, and their challenges and struggles will vary from person to person, but it will still be evident that they have been genuinely converted. I like systems—clear methods, predictable outcomes, everything neat and tidy—but when it comes to conversion, I cannot predict the way the Holy Spirit will work in a person’s life. Often Christians are tempted to try to identify and control how God goes about his business. We want there to be something, some system or method, and yet there is no biblical warrant for explaining away the mystery involved in conversion. Paul and Silas did not give particular instructions to the Philippian jailer about the method by which he was to believe when he asked them, “Sirs, what must I do to be saved?” They replied, “Believe in the Lord Jesus, and you will be saved.” The Greek verb translated “believe” is an aorist imperative, indicating that Paul and Silas expected the jailer to believe and be saved right then. Within the entire record of conversions in the New Testament, no method is ever set out. The message is, “Repent, confess, and believe.” There are no instructions about the way people are to repent, confess, and believe. “Nature abhors a vacuum” is a well-used adage. Indeed, I think human nature especially abhors a vacuum within a belief system. So, regarding conversion, many have filled in the apparent vacuum; we have come up with prayers, invitations, and other mechanisms. Where does Scripture provide a prayer to be used in accepting Jesus? Where in Sdcripture does anyone come forward or raise a hand to accept Jesus? People may be converted after saying a prayer, coming forward, raising their hand, or being baptized; any number of events may occur that my, in specific cases, lead to conversion. True conversion does not automatically follow, however, and certainly all of these customs lack clear biblical warrant. My belief is that there are people in our churches who think they are converted, because they have performed one of these acts. And I believe these people are in danger. I would go further and say that I am convinced there are some pastors and ministers in our churches who think their own names are recorded in the Lamb’s book of life, when I fact they are not. The objective aspects of conversion are generally incontrovertible points of biblical theology. I could proclaim these points even before I preached my first sermon. I thought that because I understood them I controlled the means by which people were converted. “I had five decisions last Sunday,” was a familiar boast. Without ever questioning my assumptions, I was quite sure that each one was truly born again. Of course, experience demonstrated that many of those “decisions for Jesus” faded quickly away. Usually my facile excuse was, “No follow-up.” This served to explain everything. In many cases, however, the progress of new “converts” was followed up. They were baptized, they became members of our church, and yet, over some issue, or as a result of some offence, they left and did not go to another church. “No spiritual life; a flat line on the monitor,” I would say and chalk it up to the devil or bring out some other excuse that helped to put it behind me. Many of the matters covered in this book become clear when one preaches for conversion and asks people to be sure of their salvation. A preacher of the gospel will be amazed at the kind of trouble he will get into when he earnestly contends for people’s salvation. Those who are truly converted will be glad (though not always at first) to be challenged about their salvation; those who think they are converted but are not will be very uncomfortable, even angry. If a preacher affirms and confirms people, makes them feel positive about themselves and their church, he will be liked and praised. And so they all go to sleep, unaware of the false conversions. What can a preacher do? What can the gospel preacher do then, beyond reciting, “Believe in the Lord Jesus, and you will be saved”? To believe in the Lord Jesus is to trust in him alone for forgiveness and salvation and to submit to him as Lord and Christ. Yes, this is the gospel. How does a person who is lost begin to trust Jesus? What should he or she do? I do not know. For twenty-nine years I thought I knew, but now I realize that there is no simple methodology to bringing about conversion. C. H. Spurgeon would preach the gospel long and hard and give no invitation whatsoever. There was no hand-raising, no coming forward, no praying the sinner’s prayer. He did invite people to come to see him or his deacons to discuss their conversion. Each person who joined his church was personally interviewed by Spurgeon about his or her conversion. Spurgeon urged those who were not converted to come to Jesus and trust him for salvation. When we come to Jesus for forgiveness and salvation because the Holy Spirit has convicted us and shown us Jesus as the remedy, we look to Jesus—and not to any other person or institution—as the source of our salvation. Is it wrong to give an invitation that asks people to come forward and accept Jesus as their Savior and Lord? Even though most of the evangelical Christian world relies on the standard “invitation,” it is not a clear biblical practice. I will say, at the very least, that we should not assume that true conversion has occurred when we use such a method. Conversion is too mysterious and subjective to base the most important event of one’s life on a simple prayer that has no biblical precedent. I prefer to emphasize coming to Jesus for forgiveness and salvation without suggesting any method whatsoever. This has proved to yield true conversion time after time. Even the best process used by the most experienced minister will not guarantee a true conversion. The preacher must present the objective truth of the gospel, and the Holy Spirit will apply that truth subjectively to the hearer of the Word in a way we do not understand and do not control. 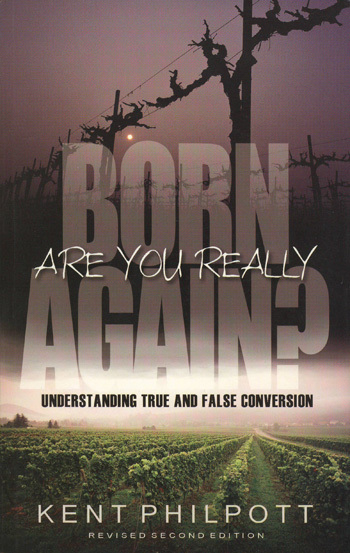 Read the previous chapters of Are You Really Born Again? Chapter 1: Christianization or Conversion?